Rick Mattoon is a senior economist and economic advisor in the economic research department of the Federal Reserve Bank of Chicago. Mattoon’s primary research focuses on issues that face the Midwest regional economy. 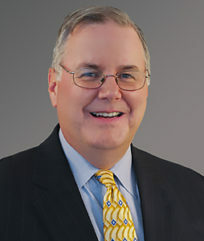 Mattoon began his career at the Chicago Fed in 1990. In 1997, he left the bank to serve as a policy advisor for economic development, energy and telecommunications to the Governor of Washington. He later served as director of policy and legislation for the Washington Utilities and Transportation Commission. He returned to the bank in 2001. Mattoon’s work has appeared in the National Tax Journal, State Tax Notes, Public Choice and Society. He is the co-author of a chapter on state and local governments and the national economy in the Oxford Handbook of State and Local Government Finance.